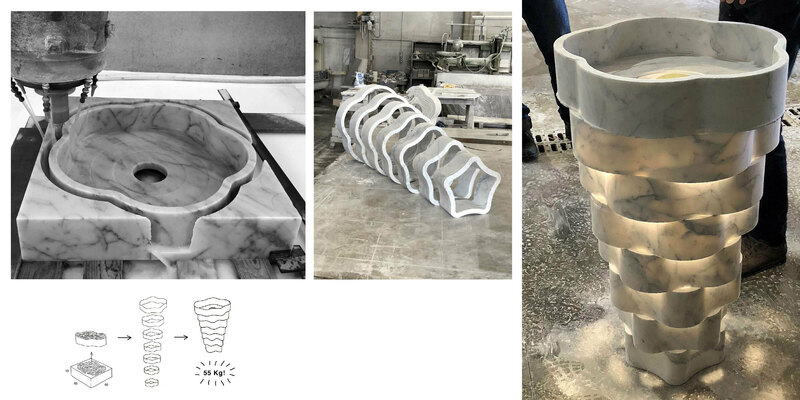 This beautiful lightweight marble sink weighs only 55 kgs. The design is called Intreccio and the sink was designed by Antoniolupi and Paolo Ulian. Designers have carried out extensive research in order to use a minimum amount of materials. This marble sink is lightweight because of this research. 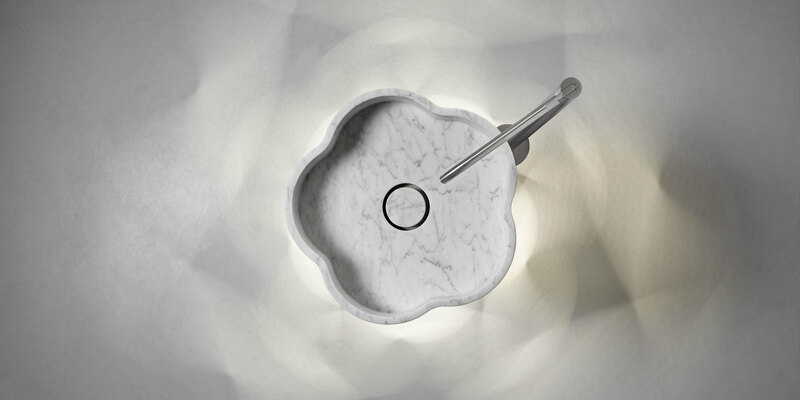 Marble is quite heavy and the lightness of this freestanding basin is because of the way the marble has been cut. Four washbasins are made from one single block of marble because the aim is to save on materials. The rings are cut from the block in way that drastically reduces wastage. You will love this if you love unique products because it is very beautiful and different. 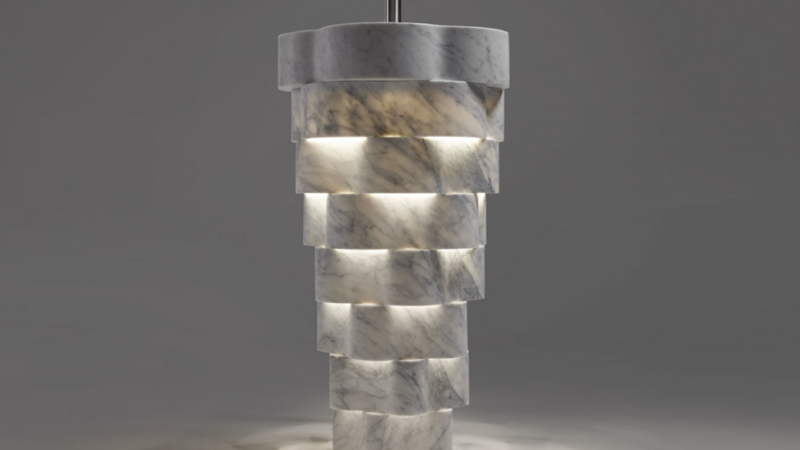 The materials used are of high quality and the overall design is elegant and contemporary. Each completed freestanding sink / basin stands 85 centimeters tall and measures 47.5 centimeters in diameter. If you are looking for a creative and striking option for a home, office or public restroom then this is a great choice. Anyone who sees and uses this sink will be amazed at how unique and cool it is. The marble used is quality Carrara marble and the basin comes with all the fittings. This sink is freestanding because it is designed to drain through the floor. If you like this beautiful sink you may also like to check out the following cool things.